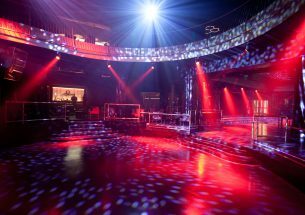 Officially Ibiza’s newest club, Hï Ibiza opened its doors in summer 2017 amid much fanfare, thanks largely to the fact it opened on the former site of the much-loved club, Space. That gave it some big boots to fill but it managed with aplomb, gaining new fans in their legions. 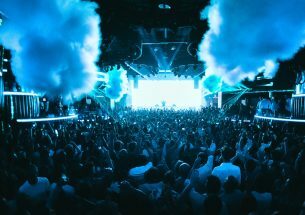 Since then, Hï Ibiza has continued to unveil a host of internationally-acclaimed DJs as weekly residents who have all been lured by the state of the art club and its epic production, not to mention a combination of both EDM and underground sounds. 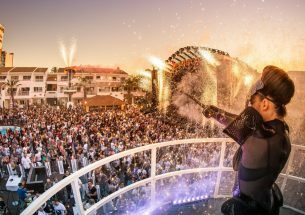 The club is now under the control of the world-famous Ushuaïa Group (who own the venue just across the road), so as ever, we can be sure they’ll bring prestigious top parties and a devotion to VIPs just as they have with their namesake venue.  Ibiza’s brand new clubbing legacy begins here. 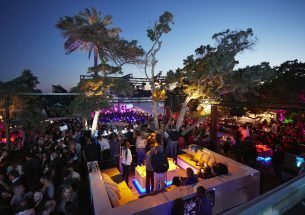 It’s no secret that HÏ Ibiza had a big job to do when it first opened its doors. 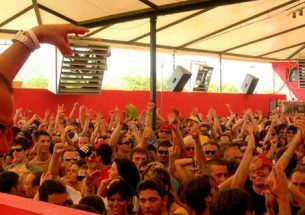 Space Ibiza was one of the island’s most loved clubs ever, and when it closed for the final time in 2016 there was much sadness from clubbers all across the world. News that a brand new club would be built on its foundations was met with scepticism at first – how could it ever match up? Would it be different enough? What would the music policy be?  Rumour and speculation were rife in the lead up to its opening in 2017, but then once those gates were flung open, any concerns immediately subsided – even in its early stages it was clear that HÏ Ibiza was a completely different clubbing entity. It had its own vibe, its own idea of musical perfection, and an entirely different layout to boot. 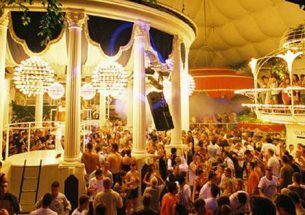 Consequently, there are now two main rooms, the Theatre and the Club; both of which are completely transformed each and every night depending on the party. 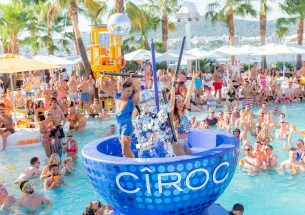 There’s also lots of outdoor space, including a garden full of towering, futuristic sculptures, as well as the club’s most famous feature – a disco toilet. Yes you read that right. 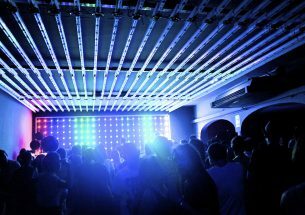 This room boasts a DJ booth right in the heart of a restroom, which may sound odd but this room has one of the best atmospheres of any room in any club in all of the world. The music policy is forward-thinking, too. 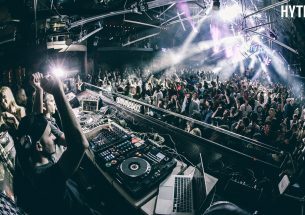 Last year, Black Coffee cemented a reputation as one of the best DJs on the planet thanks to his Saturday night slot. 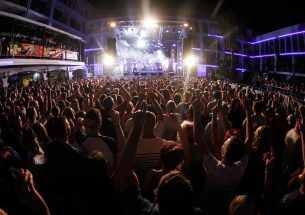 The club has also become the new home of Mr David Guetta, with both F*** Me Im Famous securing the Friday night slots. 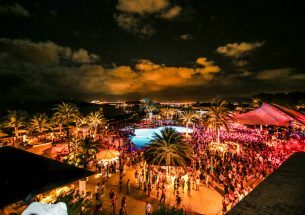 There’s no doubt that HÏ Ibiza has nothing left to prove and everything to gain. Watch this (new) space. 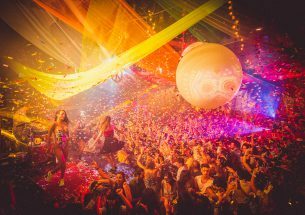 Distinguishing features: The aforementioned disco toilet (not to be missed), private VIP tepee tents, ridiculously slick production. Most likely to: Spend all of your night in the toilet but for all the right reasons. Least likely to: Fault the sound system. 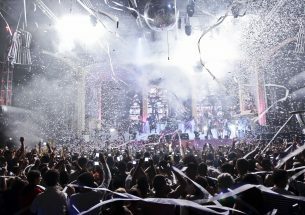 Most iconic party: Glitterbox’s residency has been instrumental in ensuring HÏ Ibiza’s success. because who can resist all those shiny disco balls?